Hung out with Country Club Mike at Mossy Oak yesterday. 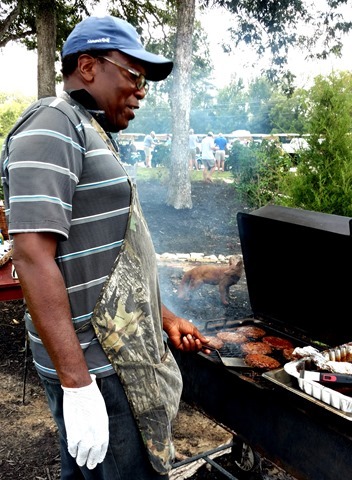 He was working the grill and doing a superb job as ambassador for the club. Beautiful day for dogs, burgers and brats. Decided to go up to Sioux Falls after all. Working for Wanassa Zhou then Kendall Dye in Garden City. This entry was posted on Sunday, August 20th, 2017 at 3:56 pm and is filed under Uncategorized. You can follow any responses to this entry through the RSS 2.0 feed. You can leave a response, or trackback from your own site. G’day Larry, your working for an Aussie first up with Wanassa, hopefully you have kept up with the Aussie lingo. 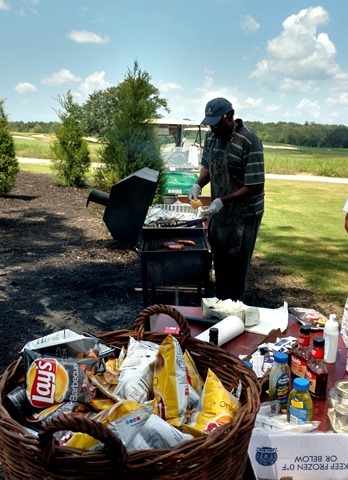 Seeing that picture of Country Club Mike and the BBQ, had the mouth drooling. Say Hi to Mike – great guy.